Good for about 3 uses! 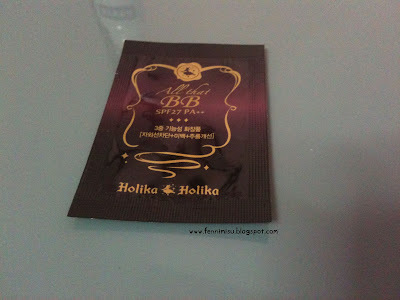 This time, it's the Holika Holika All That BB Cream! As you can see from the packet, it has SPF 27 PA++! Great for sun protection as most BB creams offer up to SPF 15 (from what I see :P). This is definitely more protective than other BB creams! To me, protection from the sun is really important, so my BB creams must have UV protection. Like other BB creams, this one also becomes pretty pale after spreading it out so start with less. It looks pretty dark in the picture right? All BB creams sort of becomes paler so moderate the amount first. It isn't very watery or too dense, just right. Circled is the area with the BB cream applied (onto the back of my hand). Slightly peachy colour, and it does quite a good job covering the veins on my hand. 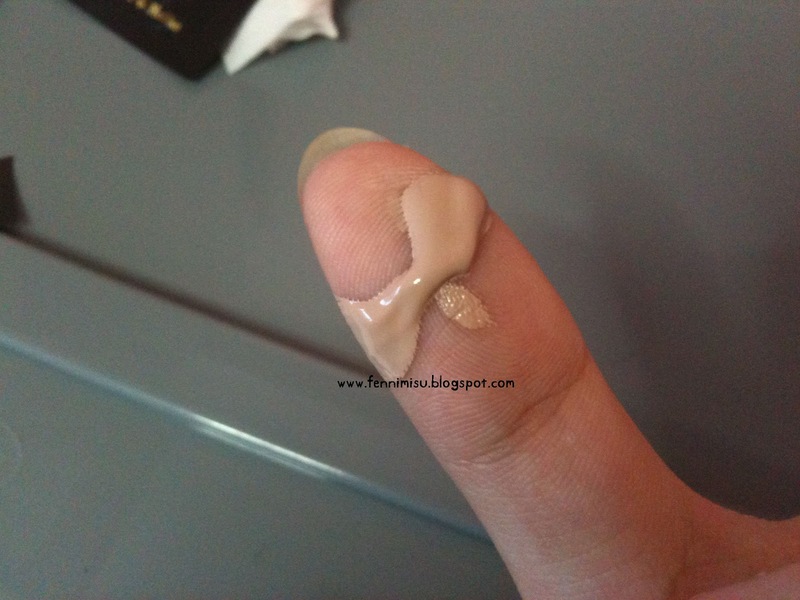 The coverage is actually pretty good for a BB cream, as most of it are pretty sheer! It gives quite an even colour to the entire area, so it's a good way to start your makeup. Thanks for the review :)Is this the lightest shade? Wanted to try the aqua bb cream by holika holika too, but the price is ard the same compared to the clinique bb cream. I have sensitive skin so, would prefer clinique! U can try maybelline's ($16++ @ watsons), I tried but as I said, I have difficult to please skin, not for me!